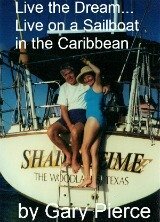 Why not retire to Lake Havasu City, the product of one determined man's dream, money and vision. Lake Havasu City is located 125 miles south of Las Vegas Nevada, on the Colorado River...the "lake" was created by damming, the Parker Dam, the Colorado River in the 1930s. In 1964, Robert P McCulloch, think McCulloch chainsaws, purchased 26 square miles or 16,000 acres, of desert for $1.2 million... He had dreams of creating a master planned community. Lake Havasu City now has a population of over 40,000. 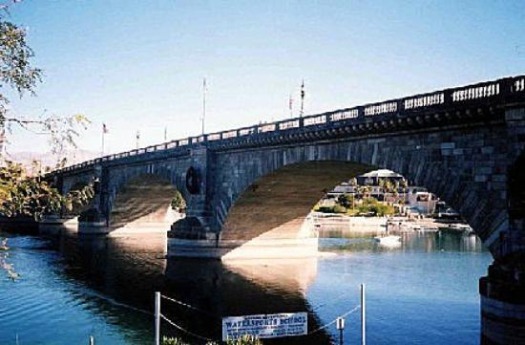 Lake Havasu City is now the home of the London Bridge...the same London Bridge that was built in 1831 (the bridge's history dates back to the 1100s), in you guessed it, London England. Since the bridge was slowly sinking into the River Thames, the Brits put the bridge on the auction block. Mr. McCulloch bought the bridge in 1968 for $2.4 million, it took three years to dismantle the bridge, and $7 million to transport the bridge parts to Lake Havasu City. Despite much cynicism and downright disbelief the bridge was reassembled and reopened in 1971... Now 1.5 million visitors come annually to Lake Havasu City to see the bridge with their very own eyes. Who would retire to Lake Havasu City? First off, you must be willing to share your hometown with a one half million visitors that show up every year... Some of these visitors are not really interested in the history behind the London Bridge... They are the younger crowd that enjoys water sports and do not need a reason to party... to retire to Lake Havasu City is not for the faint of heart or the intolerant. If you are offended by this annual influx of young folks whose main mission is to get drunk and race around the lake in a boat bought by daddy's money...you may want to think twice, for a week it a zoo. But I was young once and drove from Colorado to Daytona Beach on my spring break. Because it attracts so many visitors and even conventions, Lake Havasu City has amenities such as shopping and restaurants that you usually do not find in a city of just over 40,000... it's kind of a breakeven proposition for putting up with the crowds especially the spring break and summer crowds.